Public Speaking Gina Furia Rubel Copyright 2014. All rights reserved. The presentation is ready. The handouts are printed. Your bag is packed, and yes, you have extra business cards. 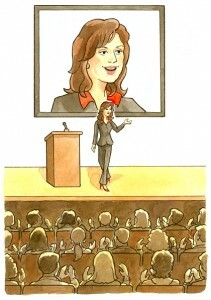 Delivering a successful public presentation, however, takes much more than an organized presenter. It takes synergy and effective audience engagement. You can do several things to ensure your next audience is your best audience – and that they leave feeling that you provided them with value. When I head to Orlando, Florida to speak at the Legal Marketing Association’s (LMA) 2014 Annual Conference, I will already have laid the groundwork for a great speaking engagement. Kim Huggins, CEO of K HR Solutions Inc., and I will be presenting “Leveraging Emotional Intelligence and Personality Traits in Legal Marketing Among Four Generations.” In addition to working together to plan and practice our presentation, we also have worked to promote attendance at our seminar. Here are 10 presentation tips to fill the room at your next speaking program, and help ensure an engaged audience that leaves feeling satisfied. Prepare a topic of value. Well in advance of pitching your program, you should find out what trends and issues the conference attendees are interested in. What problems do they face daily? What are some of the major new trends in your industry? 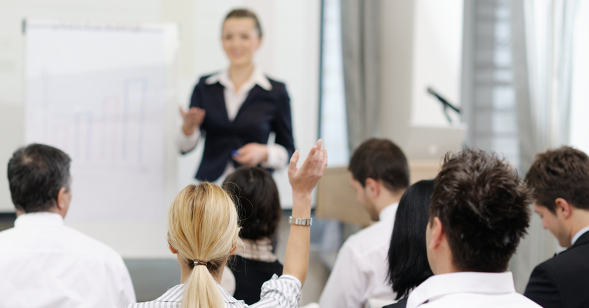 How can you help the attendees to do their jobs more efficiently and effectively? Get personal. Once you have a great topic, reach out individually and invite key influencers to attend your program. A simple message saying, “I’d really love to see you there,” goes a long way. But be clear about the nature of the invitation, especially if registration and/or a fee are required. Provide the details. Send a link to your invitees with all the information they need to know in one place, such as date, time, and registration information. Don’t stop there; make the information easily accessible to your target audience. Spread the word. Promote your speaking engagement on all of your personal and professional networks. Put it on the events calendar on your website. Include the details in a newsletter to clients and colleagues. Mention it at networking events. Share the information on social media. And be sure to use any official program hashtags. For example, the LMA hashtags for the program I mentioned above are #LMA14 (for the conference) and #LMAQS (for the Quick Start track within which we are presenting). Don’t forget to include the hashtags on your presentation materials so attendees will share key takeaways during the presentation. Check in. Ask the conference organizer a few weeks ahead of time how registration is looking for your presentation, so you have enough time to make a final push before the event, if needed. Make sure the conference organizer is promoting the program. In fact, the LMA 2014 National Conference organizers provided speakers with a conference icon for promotions and put out a free Legal Marketing e-Book featuring tips from many of this year’s speakers. Remember, it’s not about you. The people who choose to spend their time in your session are investing in themselves, not in you. They want to learn to be more successful at whatever it is they do. Anticipate their needs and do your best to meet them. Engage them in conversation. Ask questions. Be interactive and don’t preach. Remain open to learning. Chances are, your audience will include at least one person who knows something valuable about the topic at hand or has an experience to share. If someone indicates knowledge – through a question or a comment – don’t be afraid to welcome their input. You might just learn something you didn’t know before. Be accessible. Give attendees your contact information, whether that is in individual business cards or printed on a seminar handout. Many people will need to digest what they have learned from you and may have follow-up questions later. 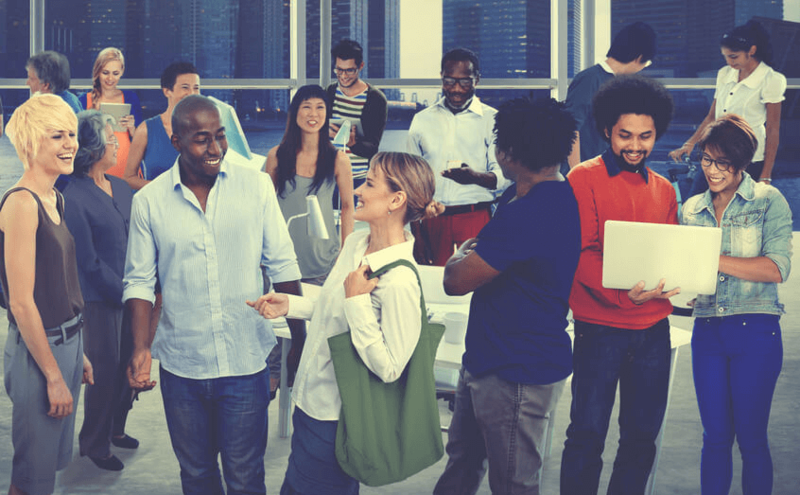 Invite attendees to connect with you on LinkedIn and Twitter (and any other social media platforms that you use for business networking such as Facebook, Google+, YouTube, Slideshare or others). Solicit feedback. It is always nice to get praise, but the most valuable feedback is from people who will tell you how you can do even better next time. Oftentimes, conference organizers will deliver program surveys to attendees and then share the feedback with you. It is important to know who will/will not be asking for feedback and plan accordingly. Then be sure to review past program feedback in order to make your next program even better. Track the response. Whether you use a formal CRM system or set up a simple Excel spreadsheet, devise a way to track the response you get from the presentation. If five people contact you after the presentation and three maintain contact and one eventually hires you when they have a need for your expertise, the tracking system will document that and help measure the ROI, i.e., return on the time and resources you invested. Keep in mind that you have been invited to speak because you are considered a subject matter expert and the potential attendees can use what they learn during your speaking engagement to their advantage. Don’t sell your services. Demonstrate your knowledge and have integrity. This is all about the what’s in it for the attendee. Make it count.